Several of the CPMR North Sea Commission’s member regions have provided valuable input into to the first version of the paper “Brexit Impact in the North Sea Region”. In general, there is little doubt that a hard Brexit – the UK leaving the single market and the customs union – will have negative effects on trade relations and economy in the North Sea Region. Additionally, the UK is one of the most active participants in EU’s research programme, Horizon 2020. If it leaves the programme, the impact could have major implications for on research cooperation in the North Sea Region. Brexit means Britain leaving the Common Fisheries Policy (CFP), which will allow the country to extend its exclusive economic zone to 200 miles from the coast, and introduce national legislation for the management of the waters. However, the UK today exports 80 percent of its catch, and the EU can answer with tariffs on British fish. During the NSC Executive Committee meeting, 15 November in Cardiff, the members of the ExCom adopted a joint statement on Brexit. Two meetings have been held by the Brexit Task Force-group. 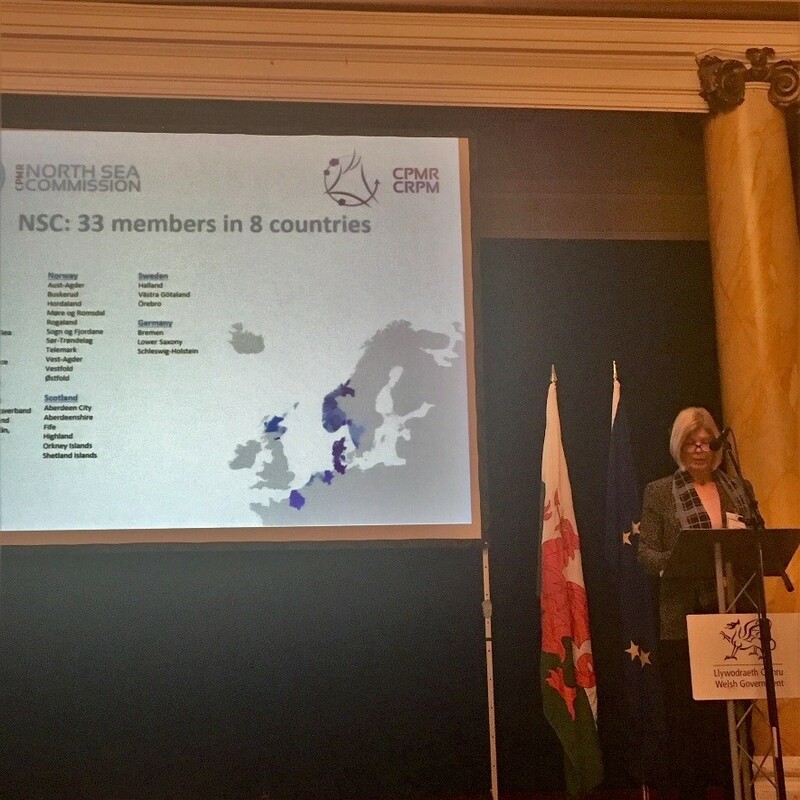 President Kerstin Brunnström participated in the CPMR Brexit conference in Cardiff November 16th where she talked about the Brexit impact in the North Sea Region.